The BYU Athletics Department has reached out to us and set up a “Lindon City Day” at one of their remaining home games this season. The game assigned to Lindon City is the New Mexico State Aggies on November 17th. During the game, the City of Lindon will be recognized on the jumbotron. Each member of the community will also be given a discount on the tickets to come see the Cougars play at LaVell Edwards Stadium. The discounted prices at the different price levels are listed below. (these prices are discounted around $8 from the normal price). Please note: this event is open to the public and will also be posted on the City Website and Facebook site. 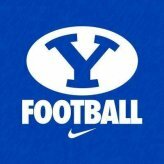 Click here to be redirected to the BYU Tickets/Lindon City page where you will purchase your seats. After purchasing, you will receive a personal link which you can also share with others in the community to build groups of family, friends and neighbors that can sit together! Hope to see you all there! Go Cougars!